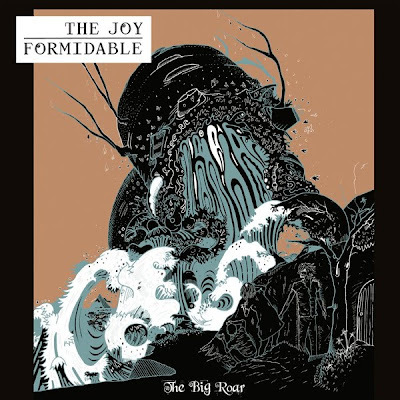 So I posted a bit about the Welsh indie-rock trio The Joy Formidable what seems like ages ago back in December of 2009 here, but kinda dropped the ball since then, because boy have they ever blown up! This band has been seriously busy making a name for themselves! As one of the major buzz-bands of this recently past SXSW, they not only have been churning out singles left and right, but they've also just come off their debut album, last years A Balloon Called Moaning (that was actually out in 2009 in the UK, but we didn't get it till May 2010) and released one of this years highly hype-worthy new albums The Big Roar. Albeit the two albums share several tracks, but that's OK, cause I can't get enough of tracks like "Whirring" and "Cradle". The female fronted band composed of lead singer Ritzy Bryan, bassist Rhydian Dafydd and drummer Matt Thomas create a sound teetering somewhere between arena-rock and shoegaze and for me is a bit of a throwback to some of those great brit-pop rock bands of the 90's. I love it. Here are a few tracks as well as the clever new video for "Whirring". just read about these guys in RS magazine. thanks for posting!